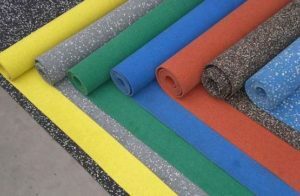 McCurley’s Floor Center has been providing Rubber flooring to government and private sector companies for over 42 years. Today we are the leading US providers of Rubber flooring. From major factories in US and all over the world. Damage to sensitive equipment from electrostatic discharge can cost a tremendous amount of time and money. In addition to our nationwide distribution center you can find Rubber Tile | Sheet Flooring | Rubber Flooring | Sport Flooring and other flooring in our showroom in Northern California San Francisco, San Ramon CA & Concord CA. We provide in-home & in-office free consultations and we offer residential & commercial flooring. Whether you are a homeowner, contractor, builder, remodeler, interior designer, realtor, installer, architect or other trade professional, we can cover whatever you need at the absolute best prices. Discount pricing without compromising quality has been our trademark for over 40 years. We bring the knowledge and technical support to serve you from start to finish.